There are new servers in town — at least on one very special day. Ever dreamt of giving an order to a cop and not getting a ticket? For that one day, only guests at a local restaurant can do just that — all for a great cause. Kitsap County sheriff’s deputies, together with officers from local law enforcement agencies, will again join in with Red Robin Gourmet Burgers, Inc., and the Coca-Cola Co. as part of a nationwide effort to raise funds for programs under the auspices of Special Olympics. Called Tip-A-Cop, this fundraising event has sheriff’s deputies, corrections officers, police officers and federal agents serving as celebrity volunteer servers at Red Robin Restaurant, located at 10455 Silverdale Way NW in Silverdale. They wll serve 11 a.m. to 3 p.m. and 4 p.m. to 8 p.m. on Saturday, Oct. 25. Money earned by the servers in the form of tips or gratuities, is donated to Special Olympics Washington and directly benefits Kitsap County Special Olympics athletes. Law enforcement personnel donate their services during off-duty hours. During Tip-A-Cop 2013, local agencies raised more than $4,300 during the two shifts. Events like Tip-A-Cop help provide these programs at no cost to the athletes. Special Olympics Washington’s goal for this endeavor is to raise $150,000 statewide. 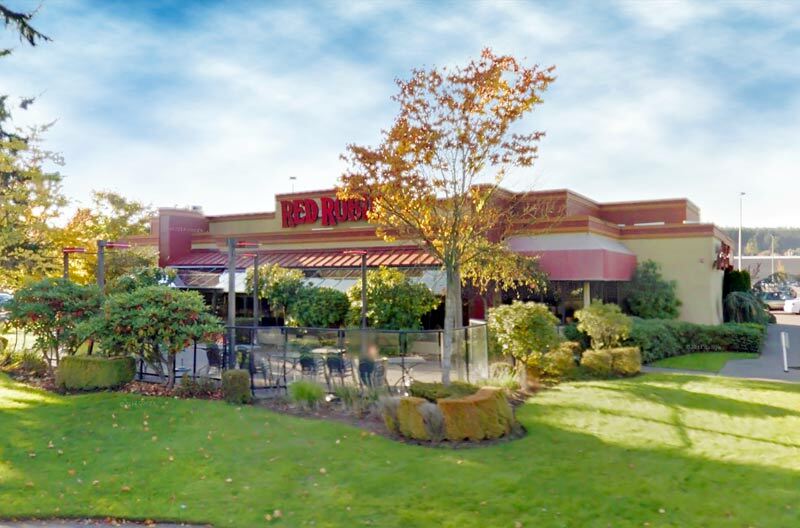 In less than 10 years, Tip-A-Cop events at Red Robin restaurants across the country have raised more than $2.7 million to support both Special Olympics and the mission of inclusion and acceptance for people with intellectual disabilities. Special Olympics provide year-round sports training and competition for children and adults with intellectual disabilities. By participating in sports, physical fitness and healthcare educational programs, Special Olympics athletes increase their self-confidence and social skills, improve physical motor skills and have better success in leading more productive and independent lives. Some 9,500 athletes compete in Special Olympics Washington; more than 1.7 million athletes compete in Special Olympics programs in more than 150 countries. Tip-A-cop is part of the annual Law Enforcement Torch Run (LETR) campaign in support of Special Olympics. LETR, which includes an international series of relay runs and special events such as Tip-A-Cop, is supported by more than 100,000 law enforcement officers worldwide who help raise money and public awareness for Special Olympics. As the largest grassroots fundraiser and public awareness vehicle for Special Olympics, LETR funds raised go directly to local programs in states or countries where the funds are generated.